Throughout February, March and April we're hosting a series of free webinars demonstrating how easy it is to process your Payroll Year End in Sage Payroll. 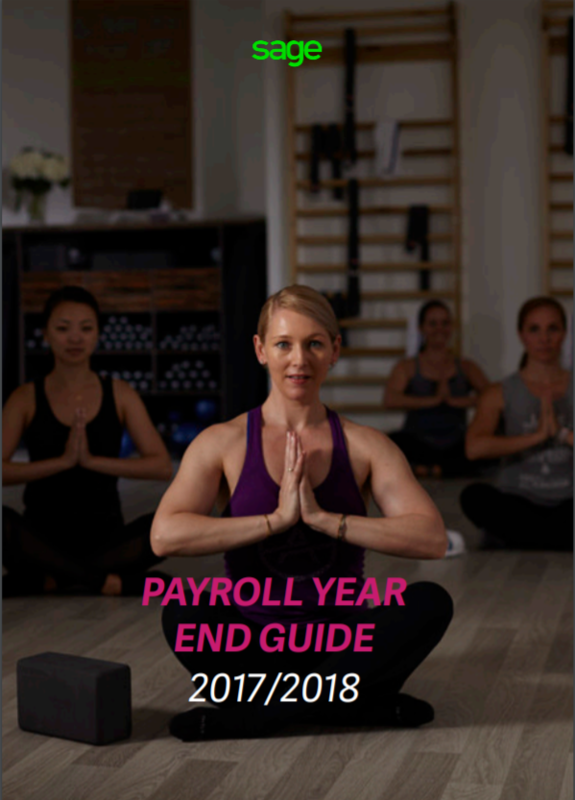 For more detailed guidance on how to process your Payroll Year End in Sage Business Cloud Payroll visit our free Online Help Centre that is full of step by step guides and videos. To help you get the most from Sage Business Cloud Payroll we’ve Sage experts ready and waiting - whether you’re new or an existing user looking for best practice and training. Use Sage Business Cloud Payroll so you’ve got everything you need for Payroll Year End backed up in the cloud. Sage Business Cloud Payroll lets you can take total control of your company’s payroll, anytime and anywhere. Create pay runs in seconds and submit your PAYE and National Insurance data to HMRC in just a click. Print payslips, P60s, and clever payroll reports for your business. No need for special stationery, it's all built in. If you’re looking for low-cost software that makes payroll legislation easy Sage One Payroll is available for as little as £3 per month* for up to 5 employees and additional employees can be added if required. Free app for Apple iPhone and Android smartphone users. Record expenses and income by snapping the paperwork with your smartphone camera. Create and send quotes and invoices to customers in seconds. Track and manage your business performance via your business dashboard, and see money in and out in real time. Use it on its own for now, and enjoy the option of integrating with Sage Business Cloud Accounting & Start later. 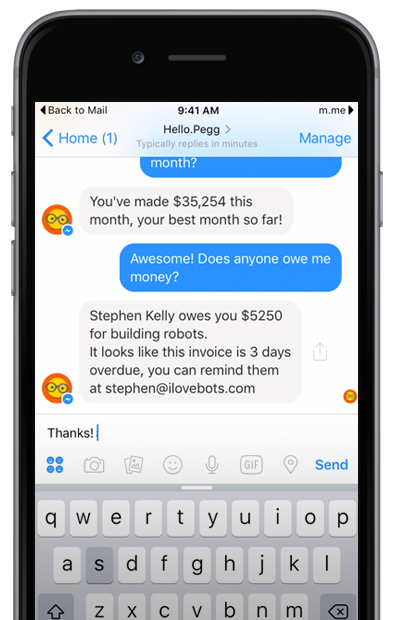 Just ask Pegg, the world’s first chatbot designed to talk to you about your finances as well as ease the pain of tracking expenses, receipts, and spending. Suddenly, managing money is as simple as sending a text. And because Pegg lives in the cloud, it always has the latest info and even uses machine learning to make intelligent recommendations the more you use it. 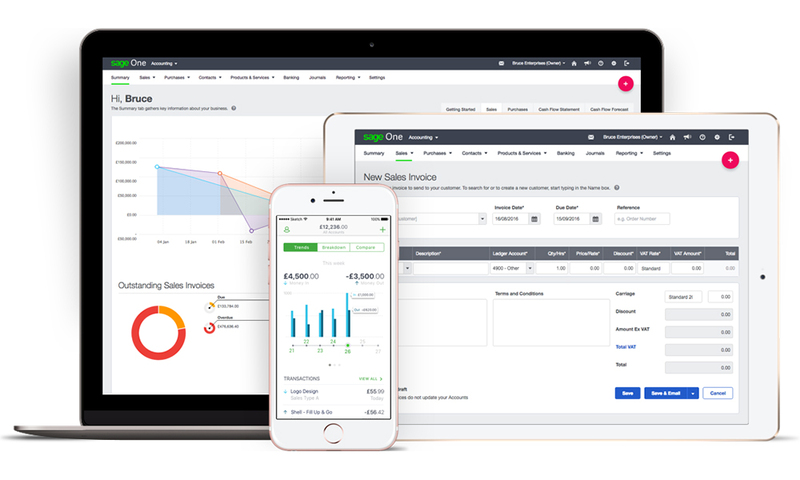 Perfect for smaller businesses, with full integration with Sage business cloud Accounting.